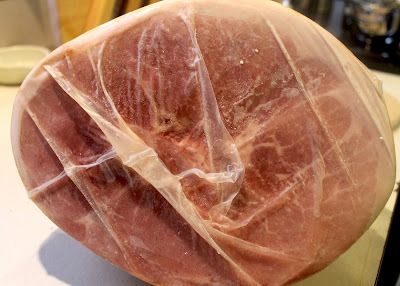 Finding the "perfect ham" begins by asking yourself what you want in a ham? For myself, I wanted a ham cured naturally without nitrates or nitrites, so I chose my ham from Heritage Foods USA. 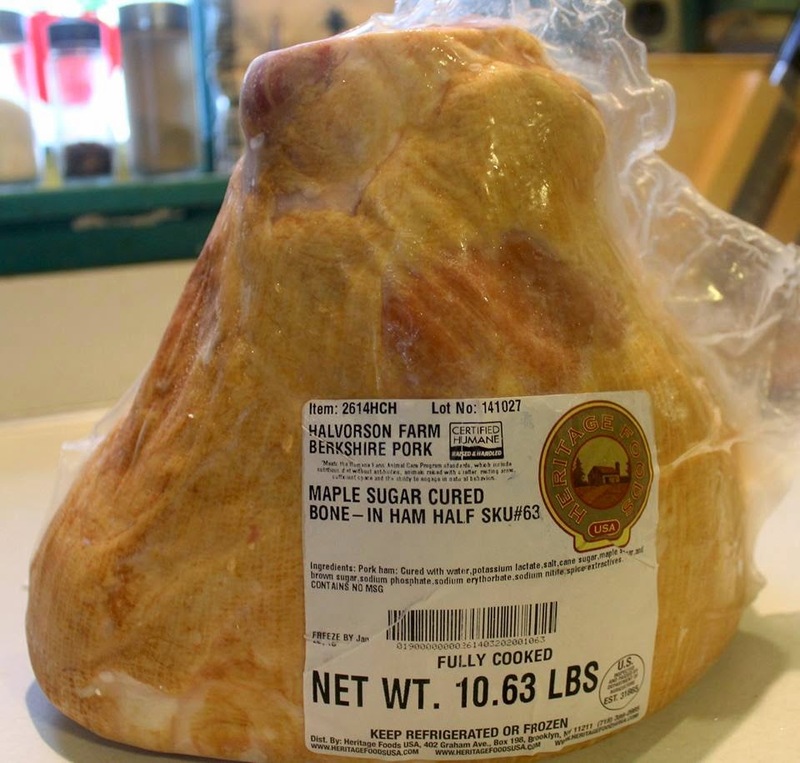 The Maple Sugar Cured Ham I purchased from Heritage Foods USA is from Halverson Farm, a farm who raises Berkshire pigs: "Located in Bernard, Iowa Randy farms with his wife and son on several hundred acres of beautiful eastern Iowa rolling hills. He is very proud of his cow/calf/beef herd and Certified Humane Berkshire pigs. His pigs live in hoop buildings which are deeply bedded and have outdoor access. Randy also raises alfalfa which he feeds to the cows. Randy was raised in town but helped his uncle in the country every summer who taught him farm skills. Now that Randy runs a farm, he has converted his father to helping out too!" Read more about the Heritage Food USA Farmers. Buying pastured meat products, raised humanely on pasture, without antibiotics or added growth hormones, and processed at a USDA Inspected Humane Processing Plant is important to me. 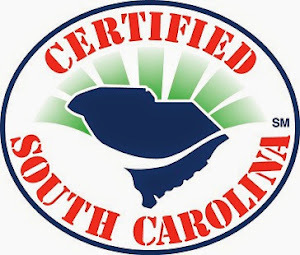 While many times you know I support small, local family farms in my area, none of them offer "cured ham" products, so I found the next best thing with Heritage Foods USA. 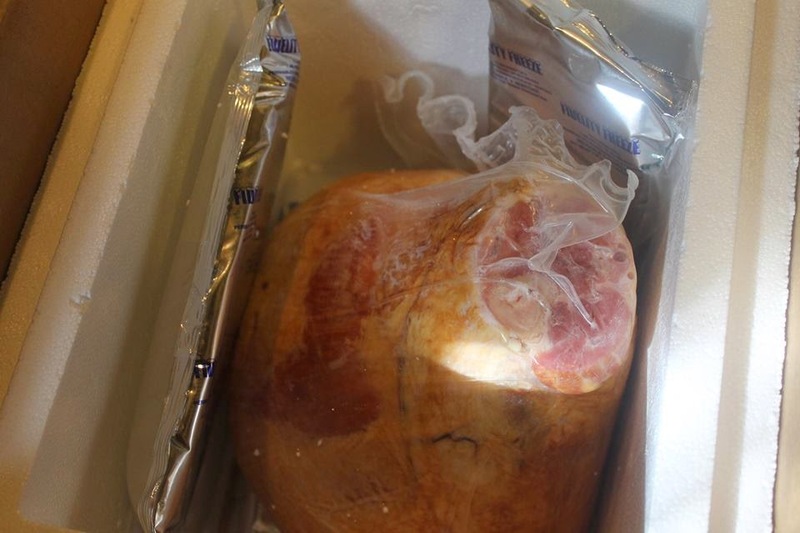 Fortunately for me, they had a sale on HAM at just the time I was looking to buy mine, and it was delivered just as perfect as perfect could be. It was nicely packaged inside an insulated heavy-duty Styrofoam cooler, surrounded by ice gel packs. So now I was ready to bake it for Easter. We celebrated a few days early since my husbands days off from his work are weekdays. Oh my goodness ... it was delicious. Preheat oven to 325. Place 1/2 cup water in roasting pan, and place ham in pan, cut side down. Cover pan completely with foil and bake 15 minutes per pound or until ham is heated through. If using a glaze, apply it to the ham during the last 15-30 minutes of baking time. Any sooner and you may burn the sugars. 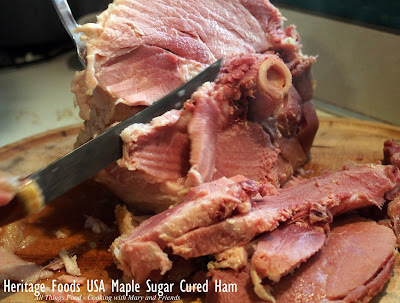 See Heritage Foods USA Complete Ham Guide. 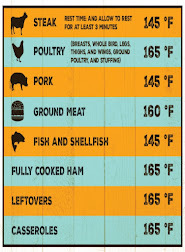 Remove ham from oven and let sit 15-20 minutes before carving. Cooks note - I serve the glaze on the side so each person can add their own. Don't forget to save the bones to make a delicious Ham Stock for soups!